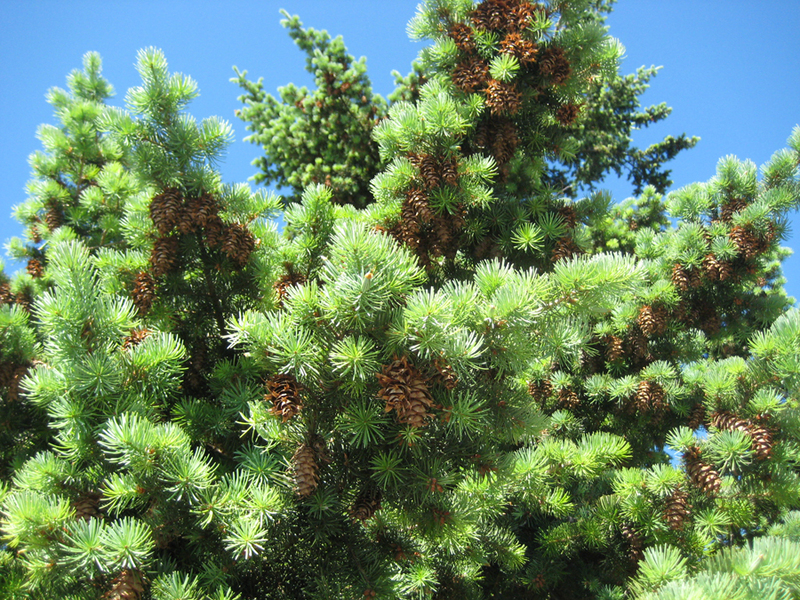 The Douglas fir is a long-lived conifer that grows very tall. The botanical explorer David Douglas brought it to Europe from North America in 1827. 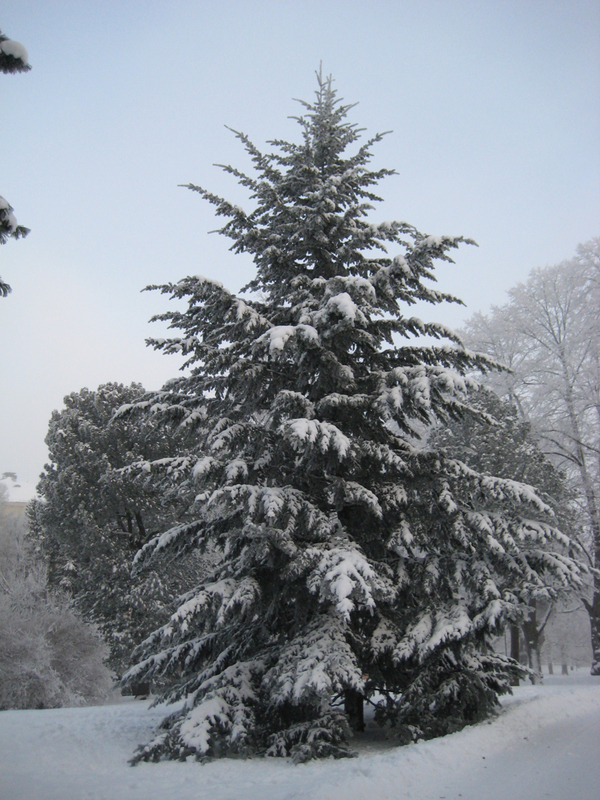 In their native environment, Douglas firs can grow up to a hundred metres tall. Many Douglas firs were planted in Helsinki in the early 20th century. In parks, mature Douglas firs can be recognised by their broad crowns, their sharp buds and grooved, cork-like bark. 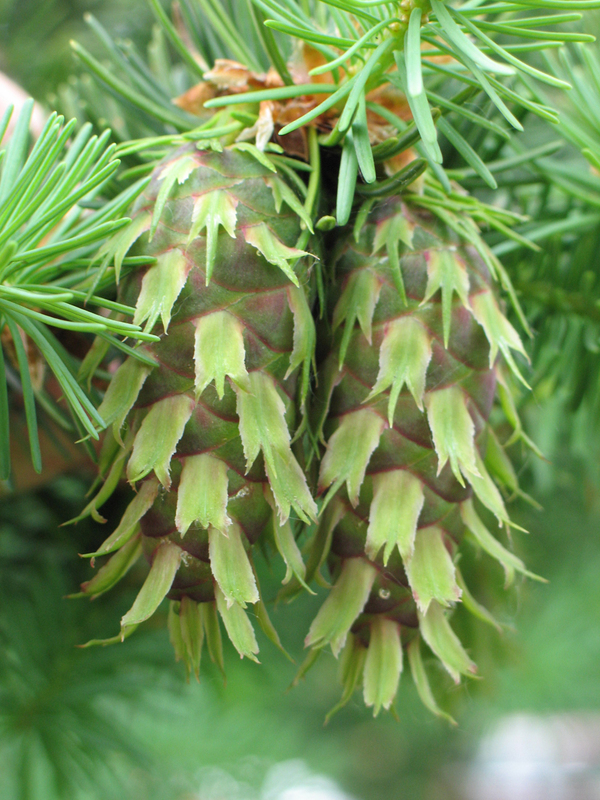 The best identifying feature are the cones with 3-lobed bracts in between the scales. There are mature Douglas firs growing on the cliffs at Ursini and in Topelius Park, with young trees in Sorsavuorenpuisto Park at Herttoniemenranta.